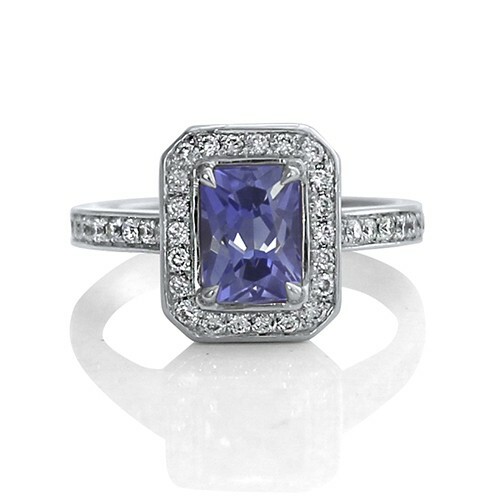 This custom sapphire engagement ring was made for a client who wanted to incorporate a hidden infinity symbol. 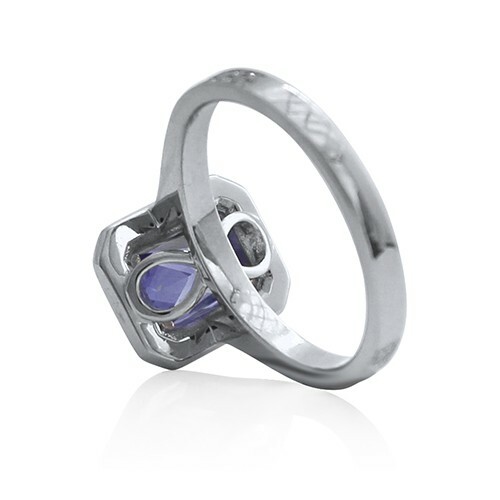 The result was incredibly special, truly a meaningful ring that is as beautiful as the woman who wears it. 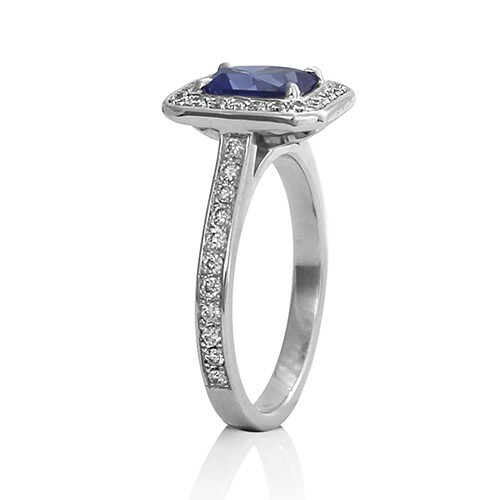 With a hardness of 9 on the Mohs’ scale of hardness, sapphires are relatively durable. They are also relatively tough and easy to keep clean. While a sapphire worn every day for years is likely to show wear and tear along the facet edges and do break occasionally, sapphires (including rubies) are among the few gemstones suitable for use in engagement rings like this custom-made radiant sapphire engagement ring.